We are spending a lot of time on our working desks. Therefore an ergonomic chair must be on your to-do list to avoid injuring your spine. However your decision to buy chairs online or at the store can be a tedious job considering the large variety of ergonomically designed chairs. Among the popular criterion when you buy chairs online include your field of work (healthcare, corporate, education, govt., software programmer, gamer, etc. ), the chairs suppliers, cost, and warranty and after-sales service are important. However the quality of chair base and casters is equally important. Imagine a chair base that is incapable of support your weight or casters that make noise, damage your floor or do not glide. Caster/ Chair Base Durability Test – To evaluate the ability of the chair base to withstand fatigue stress wear and tear by moving back and forth. Each of the HOF chair conforms to these two tests so that when you buy chairs online India, you are rest assured of the best of quality. 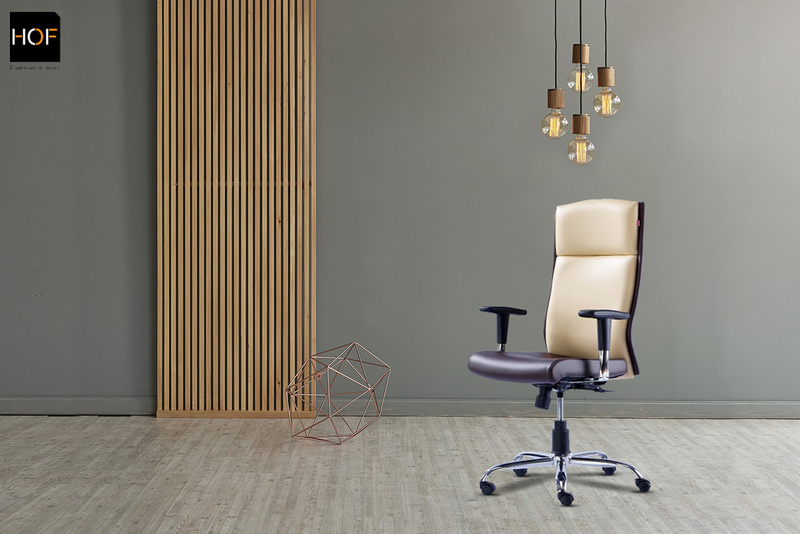 The chair base also works wonders for the look of your office chairs with its chrome finish such as in the HOF Kenzo 551 or veneer finish wooden cladding like the one in HOF ZYDO 531. Casters are wheeled devices that drive your chair. However not all casters are equal. Usually casters vary between hard and soft casters; HOF offers you twin-wheel glass filled nylon castors for better mobility on every floor surface. Looking to buy chairs online in India You can always rely on HOF Furniture as your one stop destination. Don’t miss the exciting discounts and offers on our wide range of chairs this season. 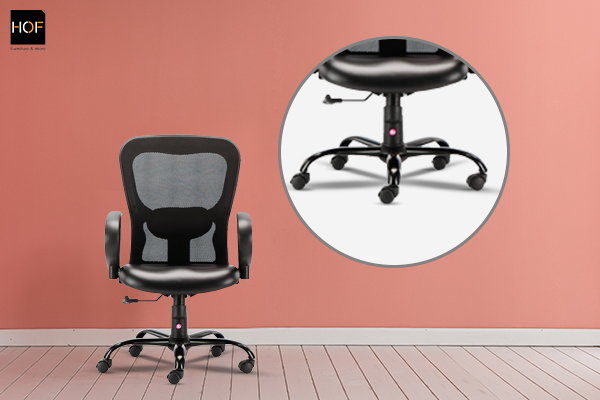 « Why Office Chairs with adjustable seats are important?